This is such bull crap. I can tell you for a fact that former Sheriff David Clarke is a very nice man and a good guy. If he had officers handle a guy who accosted him in an airport, it’s because Clarke sensed he was unstable and possibly a threat. This is a frivolous lawsuit that should be thrown out of court. This dweeb is suing Clarke for intimidating him and calling him a ‘snowflake’ on Facebook. Talk about touchy and insecure. Clarke will face trial over this nonsense. 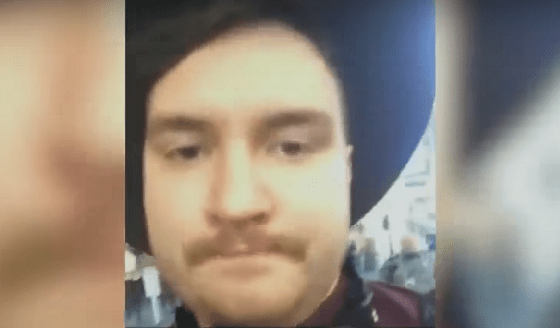 Daniel Black filed a lawsuit against Clarke after an encounter at Milwaukee’s airport in Jan 2017, claiming the then-sheriff abused his authority in order to harass him, according to USA Today. Why did Black even approach Clarke? They didn’t know each other. Was it to insult Clarke for wearing a Dallas Cowboy’s hat? Was it to berate or threaten him? There are a lot of unanswered questions here. Most of the stupid lawsuit was dismissed yesterday. But U.S. District Judge J.P. Stadtmueller let stand the claim that Clarke retaliated on Facebook for Black shaking his head at him during a flight. What the bloody hell? Why??? I thought we still had freedom of speech in this country. Clarke did not threaten the moron, so I don’t see why that was let stand like that. Black was greeted by six sheriff’s deputies when the flight landed in Milwaukee and was then escorted from the plane after Clarke directed them to question him. Then security escorted Clarke through the terminal. Just to be safe. Clarke is now a former law enforcement officer. He is an ardent supporter of President Trump as well, which has made him a lightning rod for attacks from the left and the media. He was temporarily banned on Twitter this past week for slapping back at the media for ginning up this non-story. Clarke called the liberal media “scumbags” and said that he will “punch back.” He showed a Photoshopped cartoon of Trump holding CNN in a wrestling ring and Clarke kicking them in the face. At first Twitter said it was fine, then when they got a ton of pressure, they reversed course and put Clarke in the Twitter gulag until he deleted three tweets they found offensive. After Black filed a complaint with the county and posted on Facebook about the incident, Clarke decided to respond in kind. 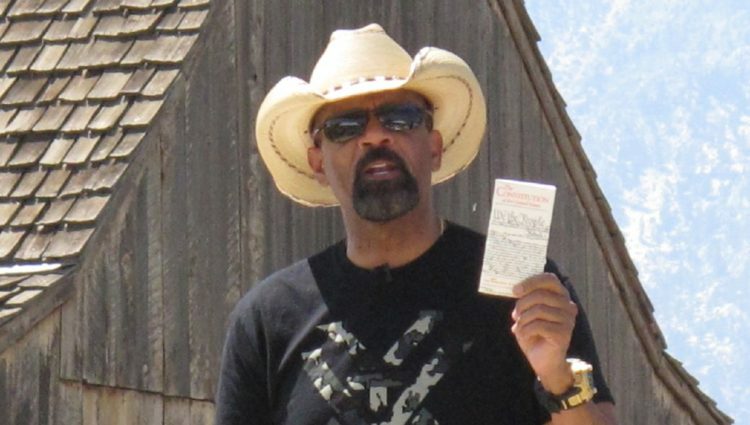 “Cheer up, snowflake,” Clarke wrote in jest, “if Sheriff Clarke were to really harass you, you wouldn’t be around to whine about it.” That’s a statement, not a threat. But for that, Clarke is having to defend himself in court. That’s just insane and it is persecution for being a conservative. The judge said a jury should decide whether Clarke’s reaction “was the kind of threat or intimidation that amounted to retaliation against Black,” USA Today reported. You do realize this could set precedent if they rule against Clarke, right? That means if you say anything that someone on social media could find offensive, you might just find yourself in court, just like Clarke. So much for constitutional freedoms.